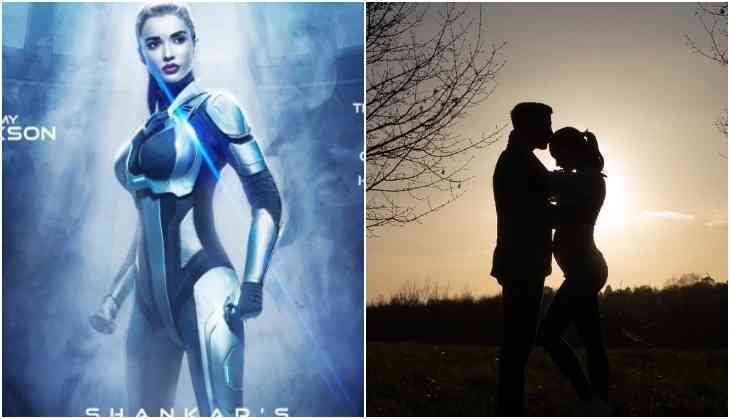 Actress Amy Jackson who has worked in several languages in the Indian film industry has some good news for her fans. Actually, the actress is expecting her first child with fiance George Panayiutou. The 27 years old actress has been a part of films like Singh is Bling, Ek Deewana Tha, 2.0 in Hindi, whether she has many films in the Tamil language. The actress shared a picture with her fiance in an Instagram post and wrote, "I've been waiting to shout it from the roof tops, and today, being Mother's Day couldn't be more perfect... I already love you more than anything in this world, the purest most honest love. We can't wait to meet you our little Libra one." The fans can see Amy's baby bump in the picture while her fiance is kissing Amy on the forehead. According to the reports, the couple is planning to get married in early 2020 and the wedding will take place in Greece as the actress has planned a dream wedding in a beach-side. Earlier also Amy on 1st January 2019 announced her marriage with a post on Instagram, "Yes a gazillion times! 1st January 2019 - The start of our new adventure in life. I love you. Thank you for making me the happiest girl in the world."